For the residents of the small Alaskan town of Kivalina, the battle for climate justice is regular a way of life. The small indigenous village sits on a narrow finger on the western coast of Alaska, far from sprawling cities, coal plants and factories. It isn’t bothered by smog, or the toxic fumes of an oblivious industrial neighbor. The community’s kids don’t have to contend with gangs and crime, or unsafe factories near their playgrounds. Yet it is estimated that in less than a decade, this small indigenous island village of 377 will disappear. Completely. Kivalina, like many urban communities of color, is experiencing the mounting and devastating effects of climate change. It is perhaps the world’s greatest example of the fact that precipitous climate change can happen anywhere, and eventually touches everyone. Unfortunately, Kivalina's story is also evidence that climate justice issues often go hand-in-hand with precipitous climate change. In 2008, the Inupiat village and the city of Kivalina (which surrounds the village) sued oil, gas coal and other companies for the destruction of their coastline, which the plaintiffs said was due to the emission of greenhouse gases. Since 1952, the village of Kivalina has lost six of its 25 acres to coastal erosion and been forced to evacuate at least once under perilous circumstances. Lack of funds, resources and clout are at the heart of the Inupiat people’s inability to either save their coastline, or relocate to a safer location. But while the tragic outcome of Kivalina’s destruction follows a common thread in climate justice, most U.S. victims of environmental instability aren’t at the northern edge of the Western Hemisphere. They are in the industrialized low-income boroughs of America’s cities, where the stifling heat brought on by increased pollution, poor environmental planning and stratified land use laws lead to communities with increased health issues and a greater risk of exposure to climate instability. People of color living in Los Angeles, explains Freeman-Brown, “are more than twice as likely to die in a heat wave” than other residents. Urban planners now know that high densities of concrete and other surfaces that absorb heat intensify rising temperatures, creating “heat islands” that turn warm-climate residential areas like L.A. into virtual ovens. For areas where hot summer weather has always been a fact of life, rising temperatures can be lethal in communities where people can’t afford to upgrade their homes to meet the changes, or buy an air conditioner. Studies conducted by researchers in Arizona and Texas in 2012 found that elderly residents in low-income neighborhoods were more likely to die from heat exposure. “And we know that 68 percent of African Americans live within 30 miles of a coal plant. Coal pollution itself leads to over 10,000 premature deaths a year. We also know that compared to 1 in 10 nationwide, 1 in 6 black children has asthma because of the proximity to the pollution that causes climate change," says Freeman-Brown. But the heat island effect isn’t the only circumstance in which communities of color and individuals with limited resources are at risk, as the last decade of devastating storms have illustrated. Residents whose homes were wiped out or damaged during Katrina in 2005, found they couldn’t get funding to rebuild and were moved into trailers with toxic fume problems or were prevented from moving into other communities. Survivors of Ike (2008) had to battle to get their public housing units repaired by the city of Galveston, TX. While Mother Nature is often color-blind in the destruction she wreaks (as communities like the upscale coastal area of Rockaway Beach, NY can attest), the long-term, devastating impact of such storms often isn’t. Lower income communities often find that the affected residents can’t afford to rebuild, and can’t afford to move out of the area. Increased poverty due to loss of work (as a result of the storm or economic problems for businesses due to the storm) can become a downward spiral that affects not only residents, but the economic resiliency of the community as a whole. In recent years, communities have been coming together to find ways of improving that resiliency. Environmental justice is not new. But the concept that communities have an inherent right to climate safety from greenhouse gases and man-made global warming is still yet to be proven in the courts. Climate justice: A political or legal issue? At the time of Kivalina’s lawsuit against ExxonMobil et al, the existence of global warming was being vigorously contested by the George W. Bush administration as well as by many scientists. Kivalina's position, however, was that the thick sea ice that had protected its coastline during the stormy autumn, winter and spring months was melting much earlier and at a precipitous rate due to climate warming. "The U.S. Army Corps of Engineers and the U.S. Government Accountability Office (had) both determined that Kivalina must be relocated due to global warming," the lawsuit stated. "Houses and buildings are in imminent danger of falling into the sea as the village is battered by storms and the ground crumbles beneath it." Further, due to their remote location 75 miles north of the Arctic Circle, the cost of relocation would be somewhere between $95 million and $400 million, far beyond what the residents could afford. The 24 defendants, which included oil and power companies, the suit alleged, "Had a responsibility for a substantial portion of the greenhouse gases in the atmosphere that have caused global warming and Kivalina's special injuries." The U.S. District Court, however, dismissed the case in 2009, saying that regulating greenhouse gases was a political matter, not a legal one. The question of whether corporate entities could be blamed for greenhouse gas emissions should hinge on a political decision by Congress and the Bush administration, the courts said. Although Kivalina attempted to appeal the decision, the Ninth Circuit Court of Appeals and the Supreme Court both declined to further the case, effectively stopping Kivalina’s legal efforts for redress. The destruction of Kivalina’s coastline, however, has not stopped. “If we're still here in 10 years time, we either wait for the flood and die, or just walk away and go someplace else,” said Kivalina’s council leader Colleen Swan in an interview with the BBC. Today, communities have history on their side. They also have a president who says he is committed to addressing climate change. But the real changes so far have come from advocacy groups like Green For All that are on the ground at the time of the disaster and have been able to put what they see to use in teaching and mobilizing others. And, says Freeman-Brown, the answer doesn’t just lie in addressing climate change. Make polluters pay. Develop methods in which polluters must pay for restitution. The Organization for Economic Cooperation and Development proposed this idea in response to international crimes of pollution as far back as 1974. It has yet to be universally applied, and Kivalina’s failure to gain restitution points to one problem: for there to be a universal standard, there must be a universal consensus that humans (and industries) impact the climate. Get serious about clean energy. Creating sustainable businesses create economic opportunities, says Freeman-Brown, "that can actually lift people out of poverty, while mitigating the environmental risks and vulnerabilities." Wind and solar create jobs by creating a need for long-term economic development. According to Green For All, three times the number of jobs can be created for every dollar invested in green energy, than in carbon-based industries. Prepare for climate change. The State of New Jersey has already prepared for possible storm damage next year by allocating funding for impacted communities, rather than waiting until after the fact to try to find emergency funds. New Jersey’s health commissioner Mary O'Dowd has been pulling in research from other communities as well as her state, about ways the state can improve its response to natural disasters. The City of Chicago opens cooling centers during heat waves to decrease exposure to heat strokes. Create jobs that are sustainable. And create jobs that will sustain a green economy, so that communities as a whole can improve economically. Invest in those jobs locally. Support carbon trading, and other methods. Help to decrease the carbon footprint in your community. Support local initiatives for climate justice. Examples include a storm water abatement project taking place in a New Mexico community, and barrio sustainability, a concept started by the Tierra y Libertad Organization (TYLO) in Tuscon, AZ, aimed at increasing community involvement. One project was helping to build a garden for a community member to increase economic self-sufficiency. It’s also a strategy being explored by the Los Jardines Institute, with good results. Increasing publicity about the fate of Kivalina is helping the village to get its story heard. 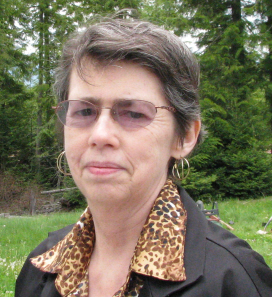 Writers like Christine Shearer, who published one of the first, and most comprehensive accounts of Kivalina’s struggles, have helped not only to educate people (Kivalina is actually only one of several indigenous communities being ravaged by climate change), but to put a human face to what it means to fight for climate justice. Photo of Kivalina's sandbagged coastline courtesy of Christine Shearer. Photo of protesters cap and trade legislation in Chicago courtesy of Wesha.